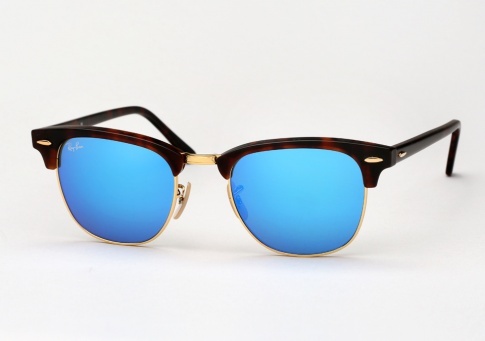 Ray Ban RB 3016 Clubmaster - Matte Havana / Blue Mirror Need Help? Ray Ban‘s iconic and often duplicated Clubmaster frame (RB3016). Crafted with a subtle matte havana and paired up with full on blue mirrored lenses. Offered in two sizes 49mm and the new larger 51mm. Ray Ban logo on right lens.